NitrateVille-related crowdfunding projects for film and DVD releases, etc. That's Ottawa, not Ottowa. And yes, it's where I live. In fact, I can make out "Albert Street" painted on the building, and that would place the scene directly opposite the parking-lot where I used to leave my car at work every morning (Albert Street and Lyon Street). I switched to a different lot only last month, partly because they jacked up the price to nearly twice everybody else's fee, and partly because the lot is being taken over for an LRT station. It sure was, there was an old fire hall on Albert St. in downtown Ottawa, across from the old City Hall, and the nearby Regent Theatre (built in 1915) was still operating when we lived there from 1968 to 1971 (it was demolished in 1972 after showing Lady & the Tramp). 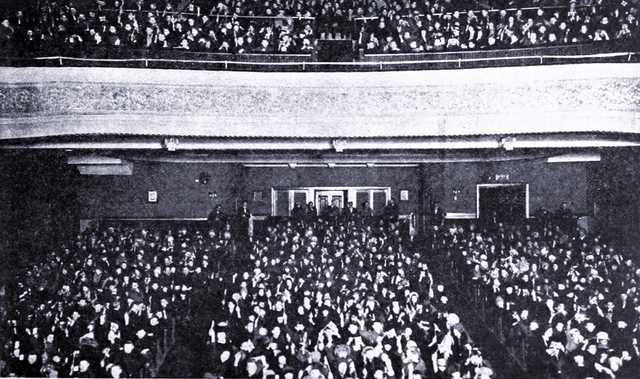 That Cinema Treasures link also shows a photo of a packed house enjoying Little Old New York. Here's the photo showing a full house at the Regent Theatre in Ottawa for LITTLE OLD NEW YORK. Actually the photo of the packed house was for Grandmas's Boy , according to Exhibitors Herald. The add proclaims Cameron Geddes as "added entertainment" and proclaims him as "Canada's Premier Basso Profundo." I'll be writing a 12-page booklet for Little Old New York and providing the full DVD package to backers ... even the international. This is such a special film, I'm going all out. Over $5000 pledged so far! Don’t you feel like a cheapskate for not,contributing? 199 Contributors. Here's your chance to be #200! One week to go before I ask Ed privately how many people just wrote him saying how they just missed contributing when Kickstarter refused to accept their pledge and can Ed please add them to the list of people who get a credit . Then he’ll tell me and I’ll snicker. Don’t be one of the people I snicker at. Get your pledge in now. I failed to post my usual "I'm in!" message when I pledged a while back, so here goes... I'm in!! Is incredulous good or bad? Here's a clip from the viewing copy I got today from LOC. This campaign ends Friday. Last edited by silentfilm on Wed Jan 30, 2019 12:23 pm, edited 1 time in total. In all seriousness, this is gonna be good. Just three hours to go.Then you're out of luck. #12 is now closed. THANKS to all!! Congratulations, Ed. 229 pledges, which seems to be a new high for you. MARION DAVIES gives an "are you serious?" 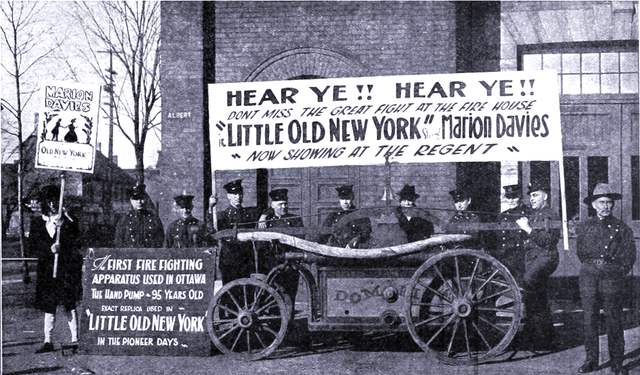 look to Andrew Dillon (playing John Jacob Astor) in LITTLE OLD NEW YORK. That viewer copy looks fabulous. I hope you're not going to duplicate frames. Congratulations on a successful campaign. And thank you, Ed, for coordinating it. Sounds like it is in good hands at the LOC and with the music score. I cannot wait to see it. I unfortunately missed this one, so I'm really looking forward to the (hopefully still in the works!) Undercrank DVD release later this year. Will your booklet be included in the Undercrank version?